Hot steamy shower lovers, rejoice: Your Nest Protector will no longer confuse that steam for smoke, thanks to a big software update for the connected smoke detector. 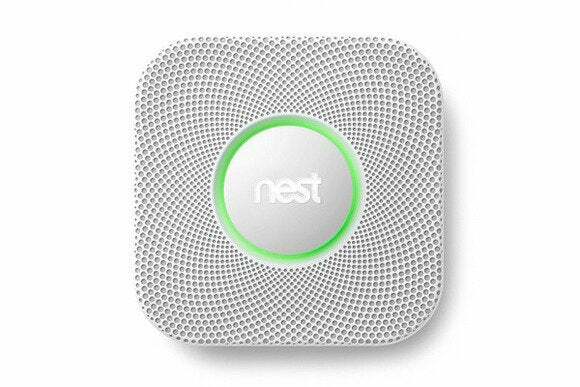 Nest Protect’s 2.0 software update is coming to a smoke detector near you in the next few weeks via an automatic update delivered over Wi-Fi. According to a blog post from Nest, the 2.0 updated is loaded with new stream/smoke discrimination algorithms that analyze data from the detector’s onboard humidity sensor. That allows the Nest Protect to determine whether it’s actually measuring smoke or steam from a boiling pot of water or a particularly lengthy shower. Nest estimates that the upgrade will cut steam-caused false alarms in half, based on its lab tests. Some false alarms will still occur: In instances where the software can’t decide whether the offending vapor is smoke or steam, it will err on the side of caution and sound an alarm. The 2.0 software update for Nest Protect includes a Safety History feature that shows triggered recent alarms. Nest Protect 2.0 also comes with Safety History. You can check this feature using the detector’s iOS or Android app to see what led to Emergency and Heads Up Alarms being triggered during the past ten days. This data can aid in identifying problems and avoiding future false alarms or just to verify that the Nest Protect is standing guard. Nest Protect 2.0 also will provide more details on carbon monoxide levels, offer advice on what to do when an alarm sounds, and give you the ability to adjust the light level of the detector’s built-in Pathlight illumination feature. One thing Next Protect 2.0 won’t do is restore the unit’s original “hand wave” control that allowed users to dismiss false alarms by waving at the detector. Nest told users to disable that feature in April when the company discovered that the feature could delay alarms from sounding in the event of an actual fire. After a brief pause in sales, the Nest Protect went back on the market in June without the wave feature enabled.